Rate this project Barry Kauler has announced the release of a new version of the lightweight Quirky distribution. The new version, Quirky 8.6, is based on Ubuntu 16.04 LTS and contains mostly bug fixes and minor improvements over previous 8.x releases. 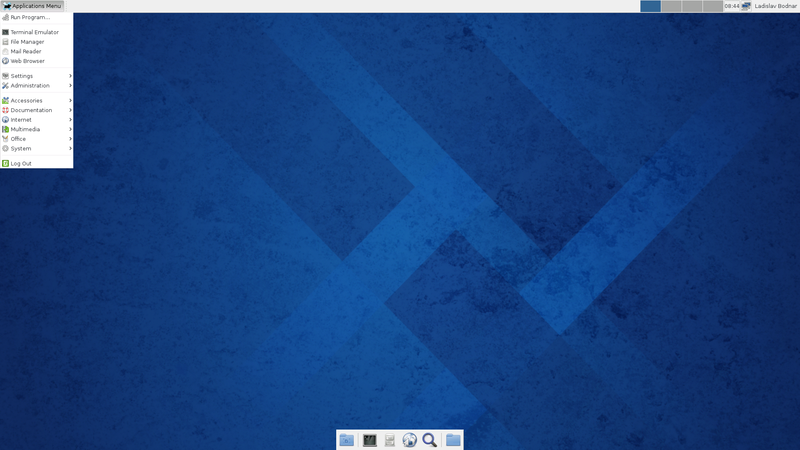 "Quirky Linux 8.6 is the latest in the 'Xerus' series, binary-compatible with x86_64 Ubuntu 16.04.5 LTS, though built with woofQ and architecturally very different from Ubuntu. Quirky is an experimental distribution, that forked from Puppy Linux a few years ago, and has followed a different path, exploring some new ideas. Continuing the Puppy tradition, Quirky has a 'complete' suite of applications, drivers and utilities, in a very small size. Version 8.6 is an incremental upgrade from 8.5, with package upgrades and architectural improvements. The SeaMonkey web browser is now 2.49.4 and the Linux kernel 4.14.63. EasyShare, simple network file and printer sharing, continues to evolve, and now supports connection to an Android phone." Further information can be found in the distribution's release announcement and in the release notes. Download: xerus64-8.6.iso (422MB, MD5, pkglist).